Deputy Prime Minister Trinh Dinh Dung has affirmed that the Vietnamese Government will continue drastically implementing measures to improve the investment environment and create more favourable conditions for foreign investors, including those from Japan, to do successful business in the country. The deputy PM made the statement while hosting a reception for Kaoru Iwasa, Senior Managing Executive Officer at Japan’s Marubeni Corporation, in Hanoi on January 24. The Vietnam-Japan friendly relations and cooperation are growing finely, substantively and comprehensively in all spheres with a high level of political trust, he said, adding that Japan has now become a leading economic, trade and investment partner of Vietnam. 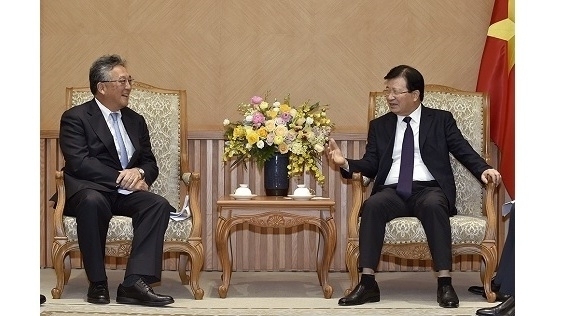 Deputy PM Dung affirmed that Vietnam attaches great importance to its economic ties with Japan, while praising the efforts made by the Japanese Government and businesses in maintaining their no. 1 position among the countries and territories investing in Vietnam in the past two years. He highly appreciated Marubeni Corporation for considering Vietnam as an important market in Asia, stating that the firm’s operations in Vietnam are focused in crucial fields, such as commodity imports/exports and infrastructure development, such as the building of thermal power plants, food processing factories and textile factories. He asked Japanese companies, including Marubeni Corporation, to take advantage of the new opportunities from the Comprehensive and Progressive Agreement for Trans-Pacific Partnership (CPTPP) and free trade agreements in order to strengthen their investment and expand their business production in Vietnam. 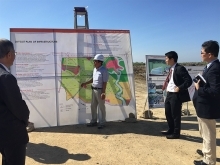 For his part, Kaoru Iwasa thanked the Vietnamese Government, ministries, sectors and localities for having supported Marubeni Corporation to smoothly expand its business production across various fields, especially the organised and effective implementation of large-scale energy projects. 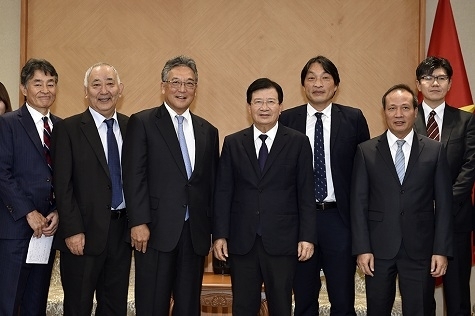 In the future, Marubeni wishes to continue its long-term investment in Vietnam in the areas of import-export, power source development, liquefied gas, domestic water production and trading, and the handling of waste water, he said. The guest added that his corporation also wants to cooperate with Vietnamese companies to expand their investment across many other fields.